A senior Eritrean delegation composed of Foreign Minister Osman Saleh and Presidential Adviser Mr. Yemane Ghebreab is in Serbia for a two day visit at the invitation of First Deputy Prime Minister and Minister of Foreign Affairs Ivica Dacic. This was the first high level visit between the two countries. Speaking at a joint press conference with Foreign Affairs Minister Osman Saleh, Dacic stated that Serbia and Eritrea have great prospects for cooperation despite its current modest level. He described the meeting as “historic and significant”. The First Deputy Prime Minister pointed out that there are many areas suitable for cooperation, from agriculture, manufacturing, mining, IT and medicine, to military industry and engineering. Both sides have also agreed to explore priority areas based on the strengths and competitive advantage of each side. The two sides further agreed to hold regular consultations and to bolster their coordination in international organizations and multilateral forums. The First Deputy Prime Minister said that the policy of the government of Serbia is to renew its old traditional friendships with the peoples of Africa and Asia, and expressed gratitude to Saleh for having accepted his invitation to visit Serbia. He pointed out that Eritrea not only did not recognize the unilaterally proclaimed independence of Kosovo, but it also voted against Kosovo’s admission to UNESCO. Foreign Minister Saleh on his part pointed out that his two-day visit to Serbia represents an opportunity for further development of bilateral relations, in order to strengthen cooperation and overall relations. First Deputy Prime Minister and Minister of Foreign Affairs Ivica Dacic accepted the invitation of Minister Osman to visit Eritrea at his earliest convenience. Serbia is a light years away from our neighbors and we can benefit from their expertise in many fields. Our neighbors are good but have nothing to offer us. Sorry, it’s not clear to me either. What’s interesting why both FM and PIA key advisor went together to Serbia. There must a big reason for this. Besides, this story did NOT provide insight as to why Serbia invited Eritrea. It’s good that we’ve finally established ties with Serbia. They already have strong ties with our ally South Africa. Serbia is a good country to partner with. We have a very strong long lived ties with Serbia. It will be our mutual friend. 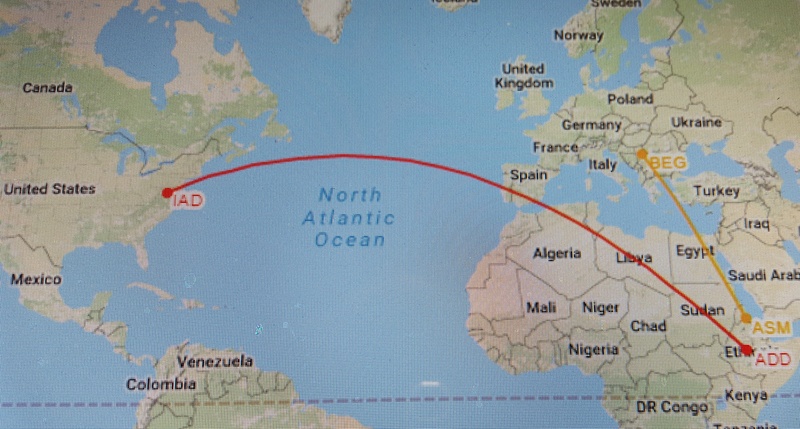 Moreover, both Ethiopia and Serbia are landlocked. Dahhh!! Remember, Sanction is practically lifted!! Serbia is the 3rd biggest soviet military hardware manufacturer..do I need to say more..
Lol. This is another gimmick by shabo to hold on to its little support or when they heard Seria is landlocked, they want to offer base since Russia is not biting. The only thing Serbia has is motor oil but last time I checked, Hile Selassie era cars are roaming the streets of Asmera. At best, they will tease the blind supporters as learning from the best on potash mining. What a joke! Nice!! Stretching the robes of good relations is great for Eritrea, especially now. Good job. So, what ur saying here is, even tho Serbia invited Eritrea, Eritrea should’ve rejected the invitation because it’s far away?! U don’t make any sense nebsi! Good relation is important, cuz it can serve us very well in the future, from political perspective that is. If u understand politics, it’s necessary to prepare yourself for the future. Maybe in the future Serbia can have something we want… Thus by preparing ourselves by the foundation of good relations we laid can reward us. So never neglect good relations, it can save u in rainy days. But also u shouldn’t hope for the better and get b**ch slapped. Cuz politics is a deadly game. I speculate the reason Serbia got interested and invited Eritrea is- NEVSUN. Their project in Serbia called Timok, is if I’m not mistaken, partially funded from Bisha proceedings. There could be no other imaginable link between Eritrea and Serbia at this point in time other than the common denominator Nevsun, who recently acquired full rights (100%) to the Timok Project Upper Zone and 54% to the Timok Project Lower Zone, both are world class gold, copper and zinc projects in SERBIA, that are expected to start production sometime in 2020. The success of these European projects entirely depend on the stability and cash flow from the world class Bisha mine located in Eritrea. Bisha mine is owned by the Bisha Mine Share Company BMSC, a joint venture between Nevsun (60%) and the Eritrean government (40%). As prospects of Bisha mine increases with the newly discovered deposits such as Harena, Hambuk, North west and Asheli, so is the cash flow to fund the Timok projects in Serbia. Ebay-Asmara and TN, thanks for connecting the dots for us. This make a lot of sense now. Cheers! The same question was raised when Eritrea established relation with Kazakhstan some 4 – 5 months ago. It turns out, Kazakhstan was a candidate for non-permanent membership at the UN Security Council. Three weeks later, Kazakhstan becomes one of the non-permanent member of UNSC. Shaebia knows well what they are doing. Their every move is strategic and like a checkmate to our adversaries. Maintain your faith on PFDJ / Shaebia. providing to all Eritrean communities around the world with truth. I second you Raee brother TN is the most reliable news source for all of us every dag. Thanks TN for the superb job. 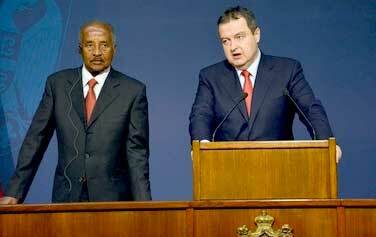 I bet Sentiko was pulling his hair out, why on earth Eritrea would link up with Serbia…. Let’s also say, while we are at it, we should purchase few anti-tank and some light weapons-snipers and ammunition..
To add to your insight, NEVSUN’s partner in the Timok project is the world’s largest publicly traded copper producer – FreePort McMoRan – a US mining giant. The Timok discovery was named the most significant discovery of the year in 2015 – I believe. I guess Shaebia is going to lecture about the success story on the 40-60 partnership, to which NEVSUN seems happy too. I remember Shaebia nebsi initiating diplomatic discussion with Indonesia and soon before I ended my joke of the Eritrean influence on mining policy, Indonesia started demanding companies to divesting >40% ownership on mines otherwise owned fully by multinationals. We are in Serbia at the invitation of First Deputy Prime Minister and Minister of Foreign Affairs Ivica Dacic. Look the above picture to see how far our neighbor is traveling at the invitation of nobody!!! Just to beg and prostitute!!! Dude Serbia or former Yugoslavia has always been a friend of Africa. During Field Marshall Tito’s reign. Who do you think built the Assab refinery? Serbia had the best Engineers, Builders and innovators, They Built the Refinery with no interest on a long term loan, as a cooperation to help the Emperor. In any case the friendship is not new.